This tough duty specialist rucksack is really versatile, like its users - paratroopers and other adventurous souls. The shoulder pads and backrests are designed for easy carry over long distances. The main compartment is voluminous, with a both a draw string closure and a cam style buckle. Inside the main compartment,, there is another draw string, to the main compartment into two. There is also an extension at the top to further increase the capacity of the main compartment, if required. On top of the main compartment, a specially designed ‘holder’ is provided to hold a parachute, a bedroll or similar item. At the back, there is a detachable daypack, attached to the rucksack with a zipper. This can be removed and used independently if required.. 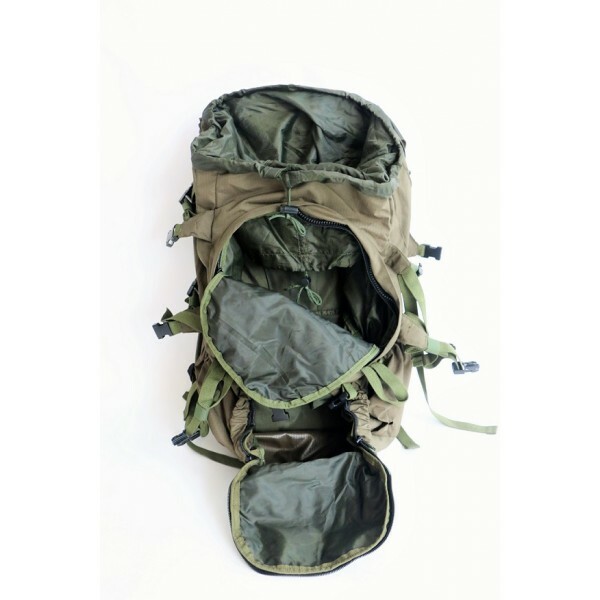 In addition, the rucksack has numerous external zipped / net pockets for holding additional items. This rucksack is designed for the true adventurer – it is usable for long marches, treks, mountaineering expeditions and other outdoor activities requiring large amounts of material to be carried. Main Compartment: with a draw string closure as well as cam style buckle. The main compartment also has an inner compartment, separated using another draw string closure. Special Holder: On top of the main compartment, for carrying equipment like a parachute / sleeping bag / bed roll externally. 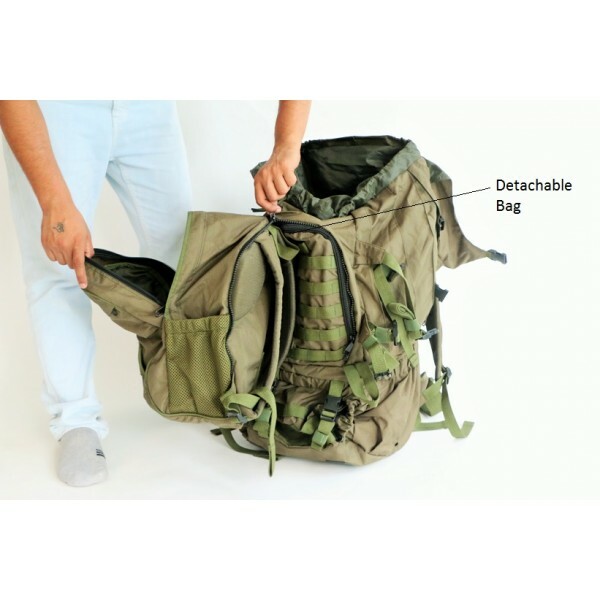 Detachable Day Pack: Attached at the back of the rucksack with a heavy zipper. The daypack has its own shoulder straps – it can be detached and used on its own. External Zipped Compartments: Four external zipped compartments, two at the sides at one each at top and bottom. External Pockets: two open external net pockets with elastic openings. 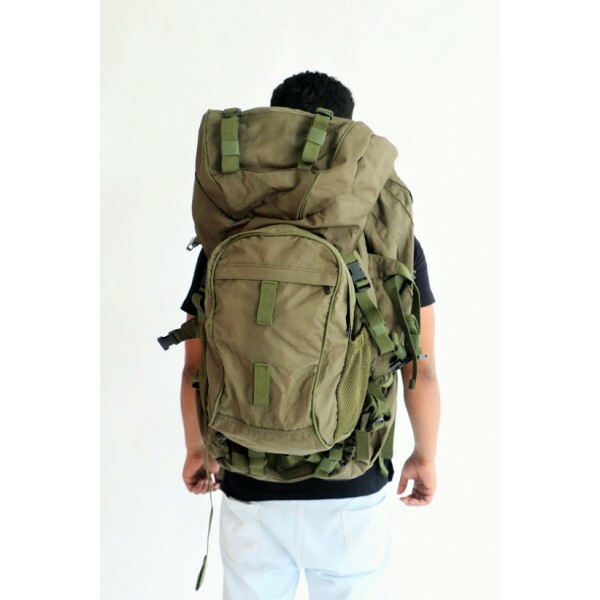 Padded Back: The back of the rucksack is padded to rest easy on a person’s back. 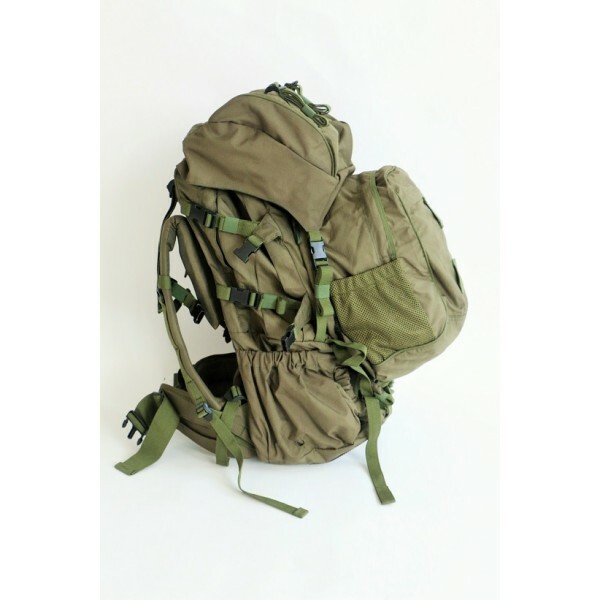 Adjustable Padded Shoulder Straps: Adjustable padded shoulder straps for easy carry over long distances. Adjustable Padded Waist Belt: An adjustable padded waist belt, with a heavy duty cam style buckle is provided, for better fit and comfortable carry. 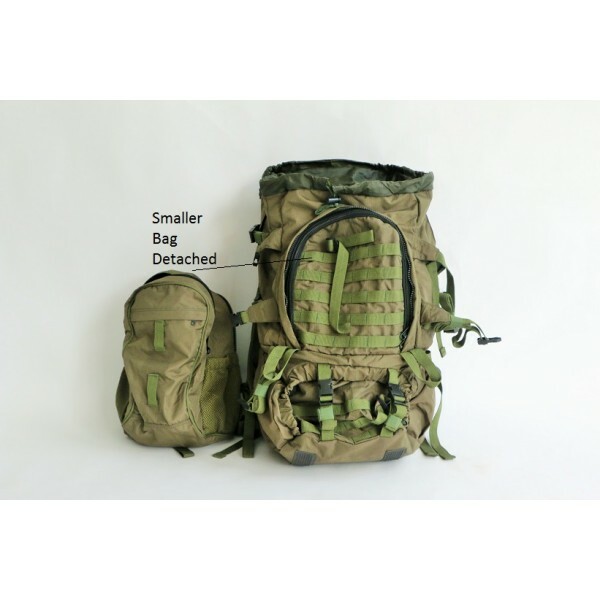 As a combat rucksack, for holding all personal stores and combat equipment possible, including ammunition magazines, GPS, compass, binocular, clothes, sleeping bag / bedroll, parachute, and other accessories. 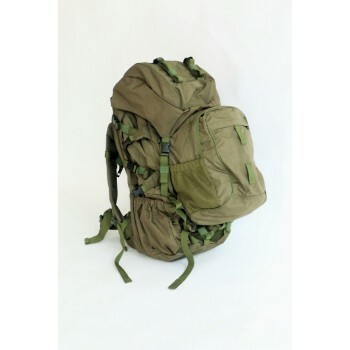 As a rucksack for long treks, for mountaineering, camping, etc. Any other outing or occasion which requires heavy / voluminous carriage of multiple items. .